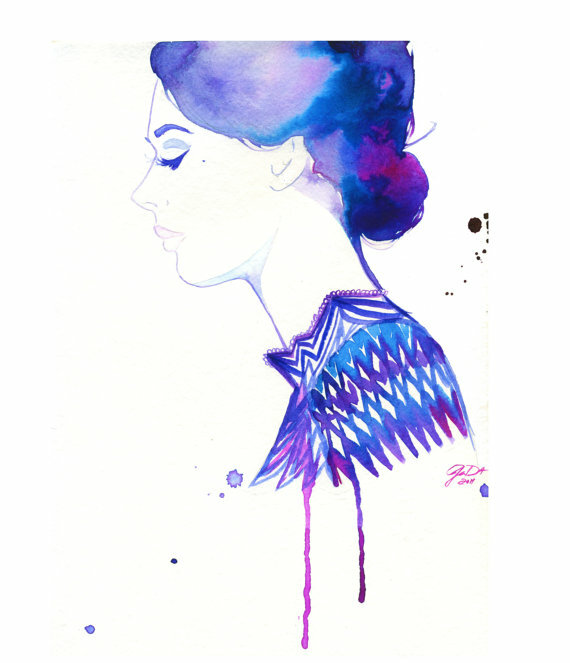 Established illustrator Leigh Viner not only has collaborated with pop superstar Lady Gaga, but has had her stunning works featured in publications such as Ofifteen Magazine and Harper’s Bazaar. Visit her blog to read more about her work and past clients or check out what she has for sale on Etsy. Illustrator Jessica Durrant draws her inspiration from rock and roll, architecture, glossy magazines and Japanese illustrations. Visit her blog or Etsy shop for more of her colorful illustrations. 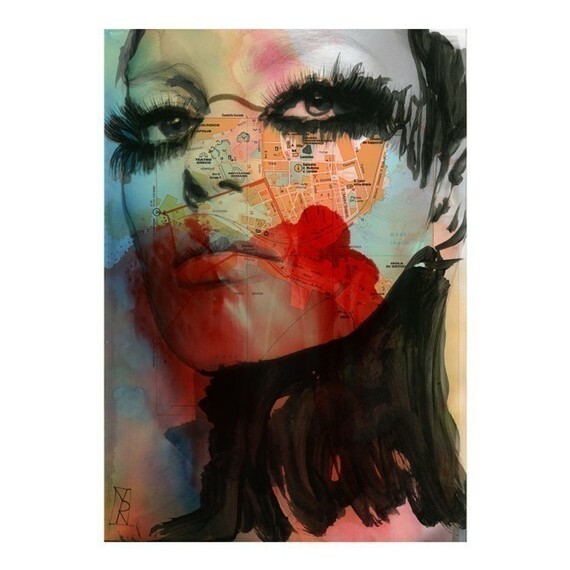 Lastly, I’ve been mesmerized by the daring and outspoken illustrations by Italian artist Vicenzo Rizzo. His shop on Etsy is filled with prints of his watercolor paintings. I love his use of color to give his subjects depth.